Gary has been advising high net worth clients in both Dublin and London since 2003. He holds a Bachelor of Business Studies Honours Degree and a UK Financial Planning Certificate (FPC) and is a Qualified Financial Adviser (QFA). He joined Harvest Financial Services in 2007 as a Client Manager and subsequently became Head of Client Management in 2010. Prior to working for Harvest Financial Services Gary worked in London for Lloyds TSB and AIB. Emer has over 13 years of experience specialising in the area of advice on pensions and retirement planning for private clients. Emer is an Associate of the Institute of Taxation, a Qualified Financial Adviser and a Certified Financial Planning Professional (CFP©). Emer is immediate past Chair and a member of the Dublin Region Committee of the Life Assurance Association and Chair and co-founder of Connect Women in Pensions, a network who support the aim of improving opportunities for women within the pension’s industry & promoting the importance of retirement planning for women. Marleny has worked in Harvest Financial Services since 2003. She holds a Bachelor of Marketing and Advertising and is a Qualified Financial Advisor (QFA) and a Member of the Irish Institute of Pensions Managers (MIIPM). Marleny joined the client management team in 2012 and subsequently became Deputy Head of Client Management in 2015. Currently, her primary role is the oversight of our Team of highly qualified Financial Advisors. Stephen holds a Bachelor of Business Studies Honours Degree (BBS) and is also a Qualified Financial Adviser (QFA). He has also completed the Professional Diploma in Retirement Planning Advice (RPA). He has been working in the financial services sector since 2005. He joined Harvest Financial Services / Trustees in September 2007 having previously worked with Aviva Life & Pensions at their Dublin head office. He is a senior member of the client management team with over 10 years of experience with our firm. Stephen also forms part of our in-house investment committee, a team that regularly reviews our investment views and strategy. His overall role involves providing appropriate pension and investment advice to our high net worth client base. Areas of expertise would include: All areas of Retirement Planning, Small Self Administered Schemes (SSAS), Self Administered Approved Retirement Funds (ARFs), Pension Technical Solutions, Client Risk Profiling / Asset Allocation Design, and Personal Wealth Management. Andy joined Harvest in 2018 with 14 years’ experience in the Life and Pensions Industry in Ireland. During this time Andy provided technical support to independent intermediaries in the provision of Retirement Planning and Investment advice. Andy has attained the QFA, FLIA and RPA designations and is past Chair of the North East Regional Committee of the Life Assurance Association. Andy is studying for the Certified Financial Planning diploma with the Institute of Banking and joins our existing team of 50 highly qualified pension and investment professionals who are committed to delivering best in class advice to our clients. Ronan joined Harvest Financial Services in 2011 and has been working in the financial services industry since 2000. Ronan previously worked with Standard Life and Ark life. He is a Qualified Financial Adviser (QFA) and a Retirement Planning Advisor (RPA). Ronan also holds a Diploma in Business from the Dublin Business School. 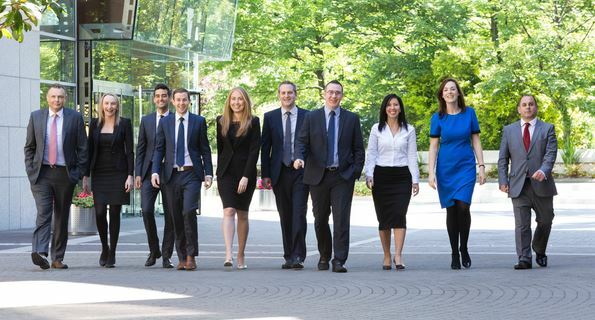 Ronan provides advice to individuals in the areas of pensions, retirement planning and personal investments. Filipe is a Qualified Financial Adviser (QFA) and a Retirement Planning Adviser (RPA) has been working in the financial services industry since 2007. He previously worked in Aon Hewitt before joining Harvest Financial Services in 2013. Filipe’s areas of expertise include: Small Self Administered Schemes (SSAS), Approved Retirement Funds (ARFs), Risk Profiling, Asset Allocation Design and Personal Wealth Management. Ian has worked in the financial services sector since 2004. He holds a Bachelor Degree in Finance and Accounting, is a Qualified Financial Advisor (QFA), Specialist Investment Advisor (SIA) and is currently working towards his Certified Financial Planner (CFP®) designation. Ian joined Harvest Financial Services in 2018 having previously worked as a wealth manager in brokerage and private banking. Ian provides advice to high net worth individuals on their overall financial planning strategies including the areas of retirement planning, investments and protection. 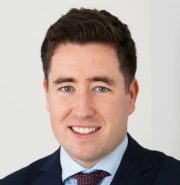 Ronan holds a Bachelor of Business Studies (BBS) Honours Degree from DIT and is also a Qualified Financial Adviser (QFA). He has been working in the financial services sector since 2013. He joined Harvest Financial Services in 2015 having previously worked with New Ireland Assurance. Ronan’s areas of expertise include: Small Self Administered Schemes (SSAS), Approved Retirement Funds (ARFs), Risk Profiling, Asset Allocation Design and Personal Wealth Management. Craig is a Qualified Financial Adviser (QFA). He has also completed the Professional Diploma in Retirement Planning Advice (RPA), and is designated as a Specialist Investment Adviser (SIA). He is currently working towards his Certified Financial Planner (CFP) designation. He has been working in the financial services sector since 2005. He joined Harvest Financial Services in 2018 having previously worked with Doyle Pension and insurance Management, and New Ireland Assurance. He is a member of the Client Management team. His overall role involves providing appropriate pension and investment advice to our high net worth client base. Areas of expertise would include: All areas of Retirement Planning, Protection Planning, and Personal Wealth Management. Paula graduated from UCD with an honours degree in Economics & French. Paula started her career in financial planning in Australia where she advised and implemented financial planning strategies for clients in the medical industry – primarily dentists, doctors and surgeons. Paula has experience in assisting clients in achieving their financial goals since 2006. Paula joined Harvest Financial Services in 2015 and provides investment, pension and protection advice to high net worth individuals. She is a Qualified Financial Advisor (QFA), Certified Financial Planner (CFP®) and a member of the Society of Financial Planners of Ireland.